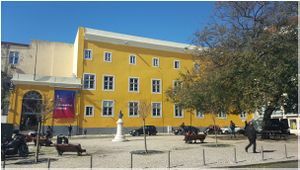 The Universidade de Lisboa, Faculdade de Belas-Artes is located in Lisbon, Portugal. Only the "multimedia art" Masters degree is suitable for animation-students, and the courses are held solely in Portuguese. This page was last edited on 18 December 2018, at 01:00.